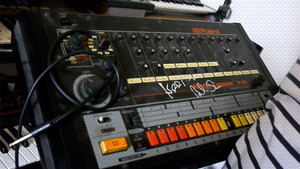 KitMonsters – Roland TR-808. The music makers’ guide to making music. 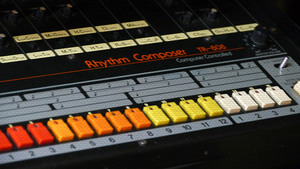 The TR-808 is a legendary drum machine that was a core part of dance music including early hip hop and techno and is still loved today, used in everything from video games to Madonna tracks and Metalcore. 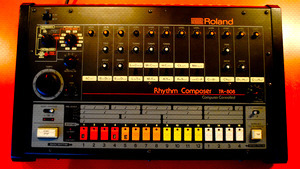 The 808 was launched in 1980 as a studio drum machine for demos, but often ended up making it onto the final recordings. 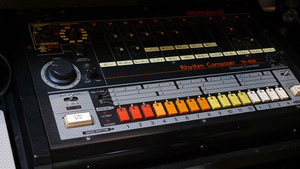 It has unmistakable and not always realistic handclap, snare and cowbell, and the bass drum can produce very low frequency sounds. 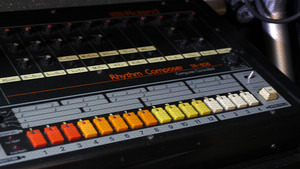 Artists who have used it include 808 State, Snoop Dogg, Orbital, Kraftwerk, The Prodigy, Marvin Gaye, Beastie Boys, The Cocteau Twins, Jagz Kooner, Matt Black from Coldcut, and The Penelopes.